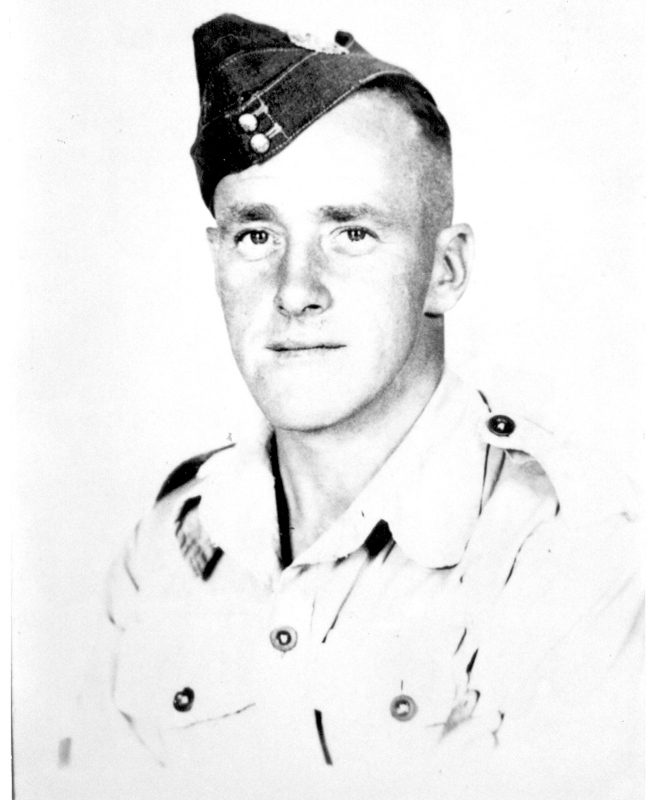 In this, the 3rd in our occasional series about Fearnan in the past, we are delighted to be able to reproduce an article written and published by Alastair Barnett (who now lives in British Columbia) about growing up in Fearnan during the Second World War. It is a wonderful memoir of a childhood in Fearnan. For Alastair, his mother and brother, the journey had started in Glasgow, several days before this entry was made. He tells his story below. September 1939. Glasgow is shrouded in darkness. Motorcars, their lights hooded, crawl through rain soaked streets, shop windows are blacked out and overhead silver barrage balloons drift eerily beneath soot laden clouds. Buchanan street railway station is clogged with bleary-eyed children; they clutch a gasmask in a cardboard box and have a luggage label attached to a buttonhole. Older brothers and sisters console fearful younger children while anguished mothers, about to be separated from little ones, look on in despair. With a burst of steam and grinding iron, trains pull out one by one to destinations unknown. World War II and the evacuation of Glasgow had begun. The evacuation of Britain’s cities at the start of World War II was the biggest and most concentrated mass movement of people in Britain’s history. In the three days before the commencement of war on September 3rd, 1939, 1½ million people had been evacuated from the cities for rural billets in Great Britain under Governmental aegis. I was one of them. Before war broke out, my parents owned a shop on Chancellor Street in Glasgow and my father, who had joined the Territorial Army, was among the first to be called up for active service. Soon afterwards mother, left alone with two infants, was forced to close the business, leave her home and head for the safety of the Scottish countryside. Jim, my older brother and I were fortunate, as we were under school age, mother was permitted to accompany us out of the city. She had no idea where we would end up until many hours later when the train reached Aberfeldy. 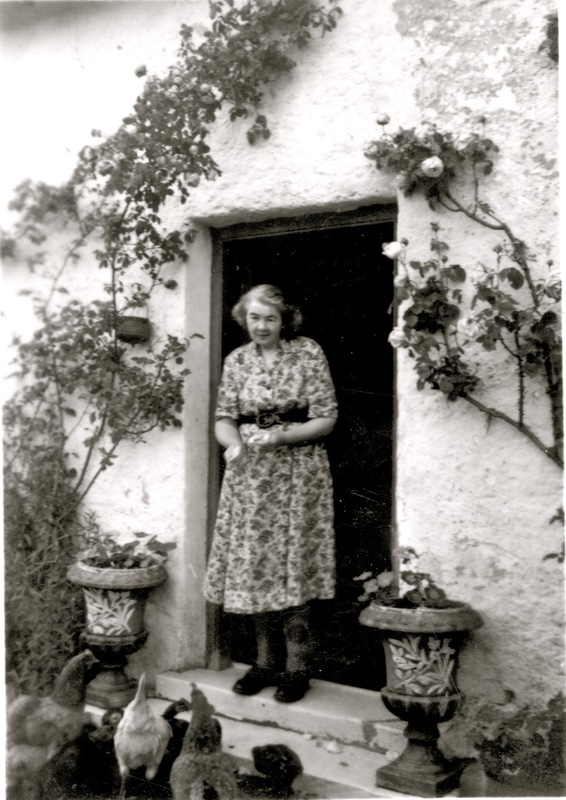 Initially we were billeted in the home of a Miss Lane a retired schoolteacher, followed by a few days at Killiechassie House, on the banks of the River Tay. We then moved to the remote and unoccupied Bolfracks House. It was here on our first night that mother, asleep, was jolted wide-awake by the sound of a prowler in an upstairs bedroom. In the darkness, the intruder had stumbled over a pram which mother had stored in one of the empty upstairs bedrooms. Next morning, we got the first bus to Aberfeldy where mother confronted the local evacuation coordinator. John Stewart, who was in charge of arrangements for evacuees, whisked us off to a crowded local school and upon arrival, advised mother to “pick her spot” on the schoolroom floor, whereupon her frustration erupted. She angrily advised him against further mention of a wood floor for her children to sleep on and vigorously recommended he make further enquires and find alternative accommodation. He reluctantly obliged and returned with the news that a cottage had been found and was available in Fearnan. It turned out that local benefactors, the Misses Parker Ness who lived at the east end of Fearnan at Letterellen House donated their cottage in the village for a time, as part of their “war effort” contribution. And so Thistle Cottage became our new home and our life in the country began. Fearnan, a vibrant crofter’s settlement, comprised of two levels, the “high village” and the low village”, all with a clear view of the loch. Each stone cottage had a croft and most had a cow and hens, ducks and a pig or two. 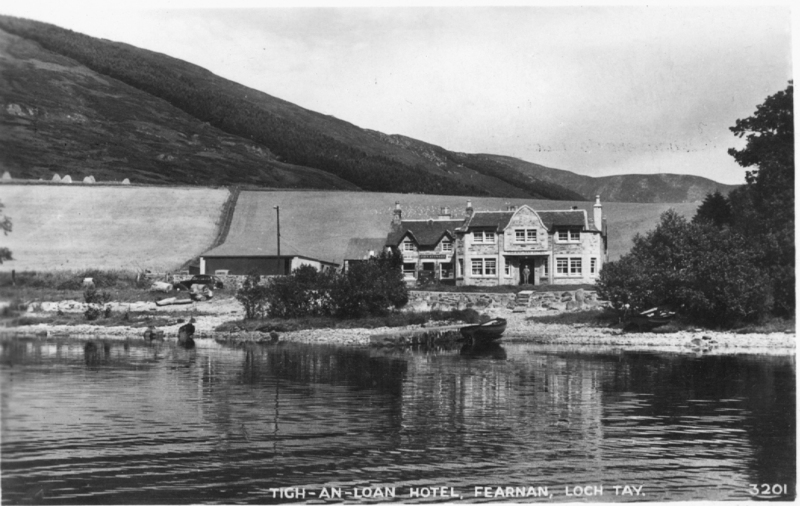 “Jock” and Mrs. Stewart who ran the hotel and shop (which also functioned as the village post office) with their two daughters Dolly and Mia, owned the Tigh-an-Loan Hotel, nestled by the loch at the foot of the Fearnan Brae. The village school and schoolhouse stood a short distance to the west. Lucy Butters feeding the hens at Springbank Cottage. When we arrived in Fearnan the Butters family, Sandy and his wife Lucy and daughterChrissie, were the first to welcome us and would become lifelong friends. Their home, Springbank Cottage was next door, and would become my second home. 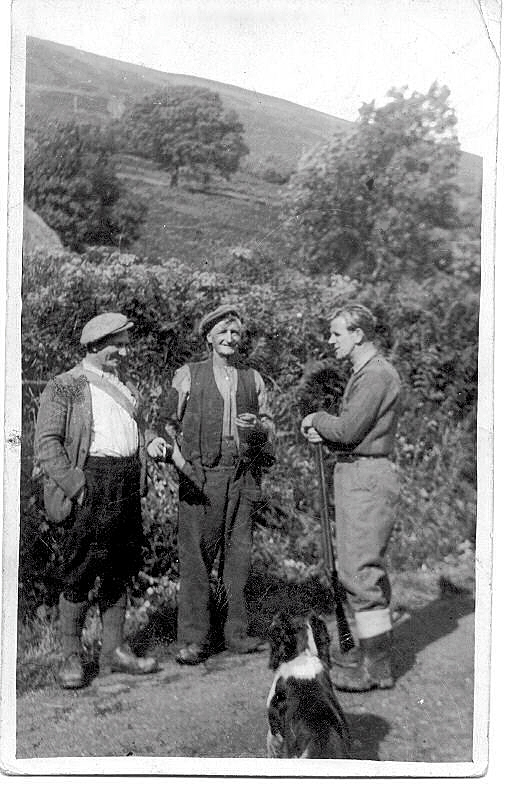 Sandy, a veteran of WW1 had served in the Black Watch and on his return, along with working his croft, had taken the job as Roadman, maintaining the road and hedgerows between Fearnan and Kenmore. Observing Sandy from a knee-high position was intimidating, especially when he was provoked which happened frequently. He was a strong rowdy man and possessed an equally strong vocabulary. It was said that when angered, Sandy’s untamed exclamations could be heard clear across the loch. But I would discover, that deep inside this ‘warrior’ dwelt a gentle man. That was the intrinsic essence of Sandy, and his sensitivity became more apparent when my brother Iain was born at the Aberfeldy Cottage Hospital in 1942. Immediately, unlike his two brothers, Iain was accepted as a bona fide citizen of Fearnan, and became the apple of Sandy’s eye and in fact of all of the Butters’ family. Sandy found himself somewhat self-consciously mentoring the wee boys next door. My quintessential ‘outdoorsman,’ brother Jim, loved to fish. Early on, Sandy decided it was time he learned the intricacies of trout fishing and armed with a 14 foot salmon rod – mistakenly left behind by a summer visitor – some #2 fishing hooks, and a box of big red worms from the midden, they headed off on bicycles one day, to the Lawers burn, three miles to the west. Sandy, after demonstrating some casts – “always get yer worm into the back swirl o’ the pool at the foot o’ the waterfall” – hooked his prize and whipped the stout rod back with such velocity that the wee trout, all of six inches long, whistled overhead only to dislodge and continue its solo flight out of sight over the heather. Jim had difficulty stifling his laughter as Sandy leapt about searching frantically for the ill-fated morsel. Jim fishes regularly at his home in Virginia now, but never forgot his first angling lesson from Sandy. 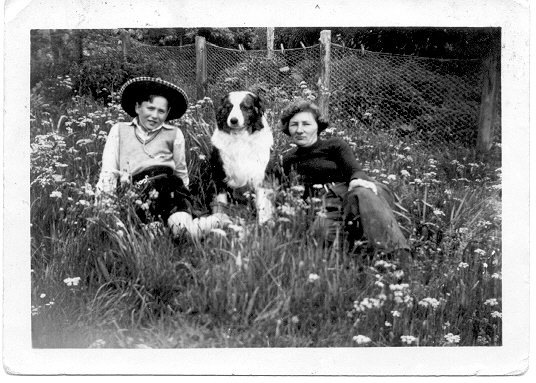 The summers were long and hot and I’d get up early every morning and wander by the loch with Ben, the Butters’ collie. I loved to stand at the edge of the loch in the silent morning, the water lapping at my feet. Often a veil of transparent mist hung over the loch, heralding another hot day, and an occasional hungry trout would break the surface with a plopping sound, sending out ever widening circles. The work was hard but well rewarded when Lucy called us indoors for supper. Around a cheerful table we enjoyed tasty soups, roasted chickens and mutton stews with home grown vegetables, slowly simmered over a wood fire. Freshly churned butter and cheeses, ripened to perfection in the orchard’s shade to Sandy’s exacting standards (Sandy was Master of the Cheese), soda scones fresh off the girdle, pancakes and heavenly jams, and as a special treat on birthdays, a clootie dumplin’ with silver three-penny bits inside. If we were poor, when we sat around that table we didn’t know it. Mealtimes were social gatherings when all the village gossip was exchanged, but at six o’ clock, Sandy silenced the chatter with a loud “wheesht,” as the BBC announcers Stewart Hibberd or SPB Mais read the latest war news. This was a solemn time and of little interest to me, at least in the early years, but on Saturday nights, along with the rest of Scotland, my ears were glued to the MacFlannels. The MacFlannels’s were a fictitious family whose escapades were broadcast on the BBC. I loved Molly Weir’s character, “Poison,” Ivy McTweed, blethering away with the loquacious Mrs McVelvet. As children, with no concept of war, our life was in that regard, carefree. When on the odd occasion, tanks and Jeeps roared about the fields on maneuvers it was an exciting game to us. One morning I awoke to the sound of horse’s hooves outside. I peeked through the curtains and not a hundred yards from our front door; the road teemed with turbaned, brown-skinned soldiers immaculate in Sikh Cavalry uniform, riding magnificent Arab stallions, with pack-mules alongside. It took what seemed hours for the column to pass. I was entranced and stood spellbound until the last horseman disappeared out of view. Although summer was my favourite time of year, a dark cloud hovered about my subconscious. That cloud took the form of our schoolteacher. In an age when many of Scotland’s classrooms were ruled in oppression, Fearnan School was no exception. My early school days were unspeakably miserable. The teacher was a tall, narrow woman with a pointed face and metal-framed spectacles. She crushed any form of self-expression and appeared oblivious to the physical and emotional pain she inflicted. Her teaching methods, while some might argue effective, were draconian. Feelings ran strong in the village about her cruelty, but despite numerous complaints to the authorities, nothing was done to remedy the situation. Some time after I moved on to Breadalbane Academy in Aberfeldy, she left for Aberdeen. Inexplicably, she retired to Fearnan years later. She spent her last days in seclusion at the hotel. For the upcoming generation of village children, including my brother Iain, the clouds had rolled away, and a breath of spring arrived in the form of her replacement, the always smiling and caring Miss Maynard. Happier days for Fearnan’s children with Miss Maynard. sad that I’d be leaving my friends when mother explained that we would be returning to the city. In a letter, Father had promised he would bring me a Nazi helmet and as a young boy growing up under the daily threat of German invasion, I couldn’t contain my excitement. June 1, 1945, two weeks had passed since the war was proclaimed over. I was nine. A small group of children frolicked around the tiny school playground but I wasn’t there. I was astride Trigger galloping across the plains of Montana in pursuit of fleeing Indians, my six-guns blazing. By this time Roy Rogers, who had completely highjacked my persona, had replaced war games with German tanks and the Messerschmitt. Through six years of service as a Sapper in the Royal Engineers, on the front lines in North Africa, Italy and narrowly missing death at Dunkirk, my father had miraculously escaped injury and now two weeks after the war ended my mother was reading the telegram all wives dreaded: “We regret to inform you…” Father had been killed in Greece in a work related motor vehicle accident. And our lives were forever changed. Despite the many lonely battles mother faced after the war, she had an indomitable spirit and sustained an exuberance and love of life. She was my hero. Stories abound about the mistreatment of “evacuees,” during the war years, and for some it’s been said, the evacuation was a traumatic, sad experience that left a lifetime of scars. And it’s true there were many reported cases of cruelty and abuse by those sheltering refugee children. For the more fortunate, the experience proved to be an exciting adventure. There were rare occasions when I experienced some form of scorn as an evacuee, and over the years I’ve felt uncomfortable with the term. In some odd way an enigmatic stigma was attached, and often, then and since, I experienced feelings of isolation, of not belonging. Scars? Perhaps. But I was a child and my heart told me that my life began in Fearnan and I left it at that. Young children are not generally altruistic by nature and it was later when I looked back at the Butters family, and the villagers, that a sense of awe struck me; a profound admiration for the generosity indwelling the souls of these folks who embraced us – mother, a stranger from the city, with two then three young boys – into their homes and their hearts. It was a romance that would last a lifetime. Much has changed. The 100 year-old Stewart family dynasty at Tigh-an-Loan hotel has ended and the beautiful old building, which captured my childhood imagination and played a huge part in my decision to enter the hotel business, has been demolished. The village shop, no longer profitable, closed its doors. The school and playground (now being developed as a private home) lay deserted for many years, and the children’s laughter and tears have faded into the mists of time. I remember McLaren, the village tailor, who like the Pied Piper, would lead us wee bairns through the brilliant hedgerows of autumn to gather hazelnuts, and his kindly wife, serving us bowls of stewed brambles and clotted cream when we returned to crack open our harvest by the hearth. Alastair MacDougall the gamekeepers son, would secretly “borrow,” his dad’s ferrets and eagerly share his rabbit hunting expertise and pass countless hours with me under a canopy of beech trees in the cool, dark primrose dell behind the hotel, netting minnows and tadpoles, and daydreaming to the soft murmur of the burn and the distant larks and occasional cuckoo. Freezing winter nights, ink black, when the wind raged off the loch, rattling the doors and ripping limbs off the trees; when snow drifts blocked every road for miles, and Sandy, smoking his pipe by the log fire, kept me wide-eyed with heroic tales of his, “Big War” of 1914; before I climbed the stairs to the wee bedroom beneath the eaves, with a hot-water bottle, a paraffin lamp, and the Beano. On a return visit from America to Fearnan in 1967, I knocked on the door of Springbank Cottage. It was a sunny April day, and just as I remembered from childhood, daffodils bloomed everywhere; the scent wafted in the soft breeze from the loch. The door opened and Sandy stood before me – his familiar worn cap angled at the back of his white head – it would be our last meeting. He seemed smaller now, his once brilliant eyes, a paler shade of blue. A collie nuzzled his knee. “Sandy, it’s me, Alastair,” I took his hand. His eyes explored my face and then, filled with tears. Several years later; sitting on the garden seat in front of Springbank Cottage looking out over his beloved loch, the gentle warrior took his final leave. 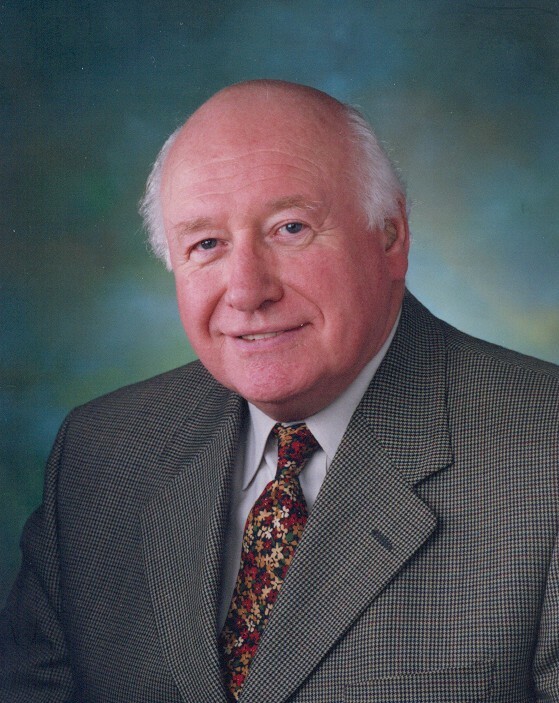 Alastair Reid Barnett: Alastair has been a subscriber to our blog almost from the start – confirming his on-going interest in, and spiritual bond with, Fearnan. After finishing his education, he worked in restaurants and hotels, starting off at the Green Park Hotel in Pitlochry. After 3 years in the RAF, he took up positions in London, Cornwall and Kent before emigrating to Connecticut. He then moved to Los Angeles and subsequently to Canada. 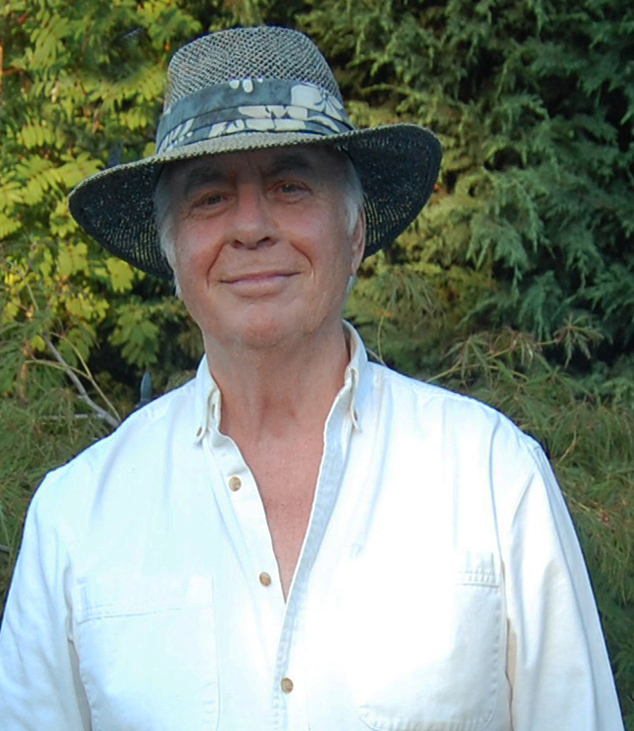 He moved to Victoria BC in 1970 where, overtime, he owned and operated several restaurants. Their younger brother, Iain, went into the construction business as a Quantity Surveyor. Many, many thanks to Alastair for sharing his story with us. If this has sparked any memories for you, or if you are able to put names to any of the faces in the school photo, please get in touch. The best stories are real-life stories! This is a good story beautifully told,Alastair.You have painted a vivid word picture which brought a tear to the eye.Thank you very much. Thank you Sue I appreciate your kind comments. I admit to shedding a few tears myself whilst remembering the good times — and some difficult times — growing up in that lovely village during those turbulent times. 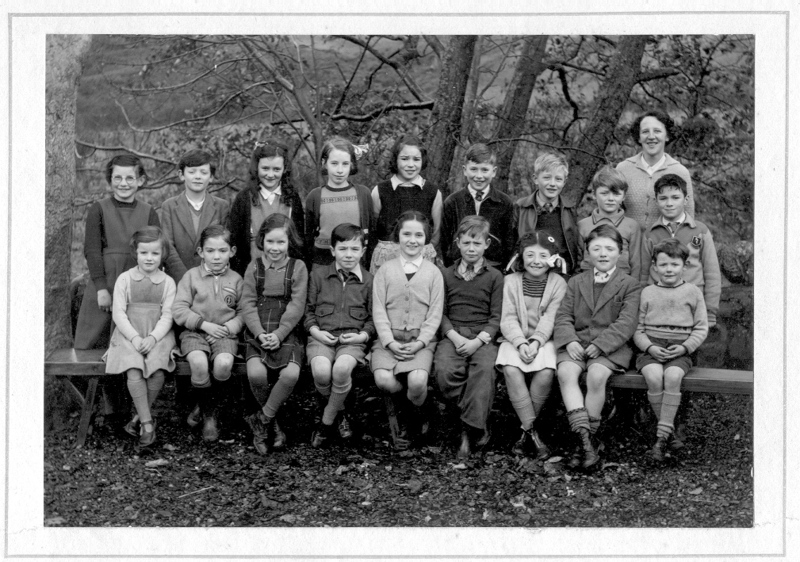 I am Catherine McDougall, (Jenny’s sister)I am centre of front row. Catherine: I remember you from my many visits to your home when your dad was the gamekeeper. I also fondly remember your Mum, (excellent cook!) and Jenny. You may not remember me but your brother Alistair and i were best friends. We spent endless hours together while attending Fearnan school.